Cutting the Cord and Cutting the Bills: Media PC - Demo videos: Can your cable DVR do this? Using technology to cut the cord from pay TV, save money on monthly bills and have fun. Media PC - Demo videos: Can your cable DVR do this? While pictures help in telling a story they don't really show you how something works in practice (or in your home). The demo videos (below) of my do-it-all Media PC show some key features (in use) that I think display some of it's potential. You can also see some still image shots here. My other goal is to demonstrate that a Media PC really isn't that intimidating as many people might think and definitely makes cutting the cord worthwhile. Of course, it is more complicated (especially compared to a simple set-top-box or single purpose DVR). However, I think most people will find them surprisingly living room friendly and will appreciate the fact that one box can do the work of many. I hope you enjoy these short clips and let me know what you think. Note: The first two clips in the playlist cover my wireless keyboard and remote. The remaining videos show me controlling the Media PC with only the remote. Rarely do I have to grab the keyboard to get basic jobs done (and that is what makes this a true Media PC, not just a PC connected to your TV). Thank you for posting the videos. It helps to understand the usage model. It looks like you "live" in standard Windows much more than I would have thought, switching to WMC when necessary. That's a good thing, as I can see using the Media PC computer with the kids a little more often (school research, etc...), but also a bit nervous as the kids like to occasionally intentionally and unintentionally mess with the settings like screensavers, background, layout, etc... I was hoping you would boot "into" the Media environment, so that such things would not be readily available. Lastly, although you built your own Media PC, did any commercially available hardware not meet your needs? Or at least close? I sure would rather find workable hardware that I can then add RAM, add more disk and go. Nice observation and you are right on about Win7 being my default boot environment. I'm pretty comfortable with this (and the remote makes it easy to launch whatever I want). However, I'm sure you are not alone in wanting a Media PC that boots directly into Media Mode. Fortunately, MSFT thought of this. In WMC, just navigate to "Tasks->General->Startup and Window Behavior" and check the box that says "Start WMC when Windows starts". That should do it for you. On a related note, I'm planning a post about maintenance and having the ability to lock things down against tinkering is a good point. I'll see if I can address that. Finally, regarding an off-the-shelf computer that makes a good Media PC. I did look around at lots of different options. Dell in particular makes a couple of tempting options. The Dell Zino HD or Studio Hybrid were some that I looked at. The Mac Mini also makes a great Media PC. Lots of options, all with different trade-offs. I'll see if I can put together a short list of some good choices for those who prefer an off the shelf solution. You should make sure you have room in your budget for the add-ons that make it a true Media PC (USB tuner, Remote, Keyboard). More great ideas for future posts, thanks! You setup is exactly what I have been planning for my parents. My one question is how well Media Center and Squeezeplay work together being on the same PC? Can both be running at the same time? I had problems in Vista with Squeezeplay "grabbing" the audio stream and Media Center then not having audio. Thanks for your great information and video! I haven't had the problem you describe with SqueezeSlave (which I primarily use). If SqueezePlay is causing problems, you can try SoftSqueeze or SqueezeSlave. When I get a chance, I'll see if I can reproduce any problems with SqueezePlay. I put together the server and have confirmed that the problems I experienced with Vista do not cause the same problems in Windows 7. I am guessing Windows 7 has a better mixer. What would you recommend for streaming both live tv and tv recordings/dvd rips from your HTPC in the living room to your tv in the bedroom? Looking for an affordable option. I don't want to buy xbox 360 or for that matter have an xbox 360 in the bedroom. Doing both live TV and streaming cheaply (in one box) is a challenge. We personally just use old laptops, PCs and a netbook. They stream stuff just fine from my Media PC. They don't cost anything (if you already own them!) We can even watch live TV using Orb (but frankly rarely do). It would be nice if Win7 Media Center had better "media extender" options, but it doesn't. 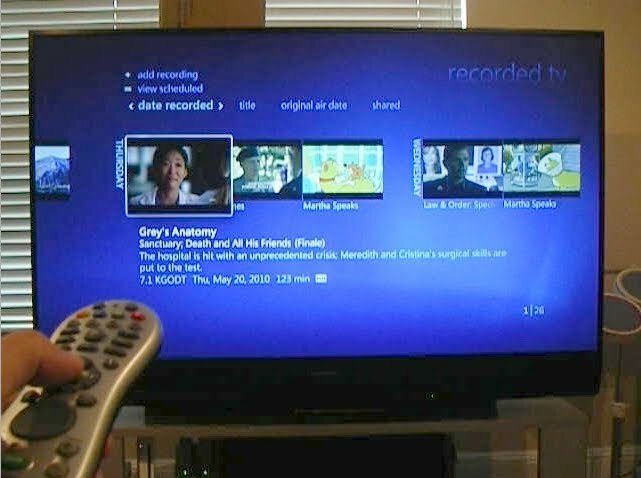 Other DVR software is better in this regards but you may still end up looking at using a "PC" as a remote client. For example, look at SageTV. If the TV in your bedroom is new (w/digital tuner) and you can live without DVR functionality, you might consider solving part of the problem by hooking up an antenna to get live TV only. Copyright (c) 2010 CuttingTheBills.com. All Rights Reserved.